Regarding the cloth upgrade, how can I upgrade my Sea Dragon scale? The potions for bronze obviously aren't useful here, do I have to get the purple potions (the first purple ones on the menù) ? EDIT: Yup, they were exactly what I needed, found out just some days ago thanks to the new patch. Hello i need help whit some info abouts the Guild System. 1 - What is the Time Capsule ? How to participe on it ? 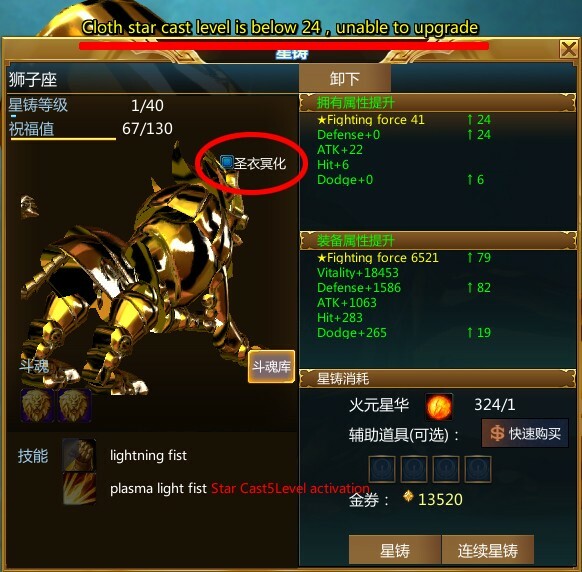 2- How to upgrade lvl of My Guild Base ? 3- I did a quest.. at Legion Base and i got around 3kk Money, is a weekly task ? is a task you get the money = points exchange of your guildies ? 4- How can my Guild can put Defender Torrets at the Guild Wars ? And how work the Tecnology System ? 5- How to lvl up my Position at the Guild Ranking ? which is the potion for Silver Cloth of Tier 3? Please, help! 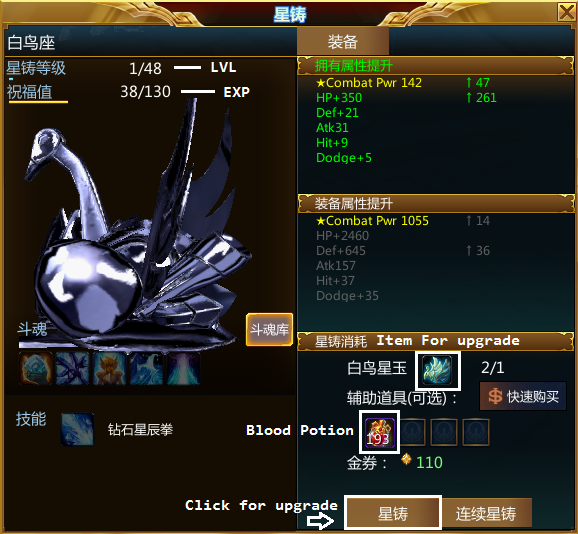 Which type of blood potion is needed to upgrade gold cloths? @orpheus same as in this image, same as for the main cloth. ..one last thing: what is the "level 24 upgrade" tick, under the exp bar?? then u have hades cloth ! OK, I have question, is there any way to create "room" or something like that, becouse its very annoying if I have lvl 80 and all party I meet( I tick option to search party) play low lvl dungeon, and I want go some higher lvl. Can i create some room, or something like that and w8 for players who join(if yes how to do it? ), or I must run from player to player and invite to party, or just "sit and w8"?